We are proud to present Exposé: a series of portraits in which we introduce you to remarkable trendsetting people who have a ‘thing’ with flowers and/or plants. This time in Exposé #06: Manuela Sosa. A brief introduction : Manuela Sosa acquired a love of flowers from her mother at a young age. 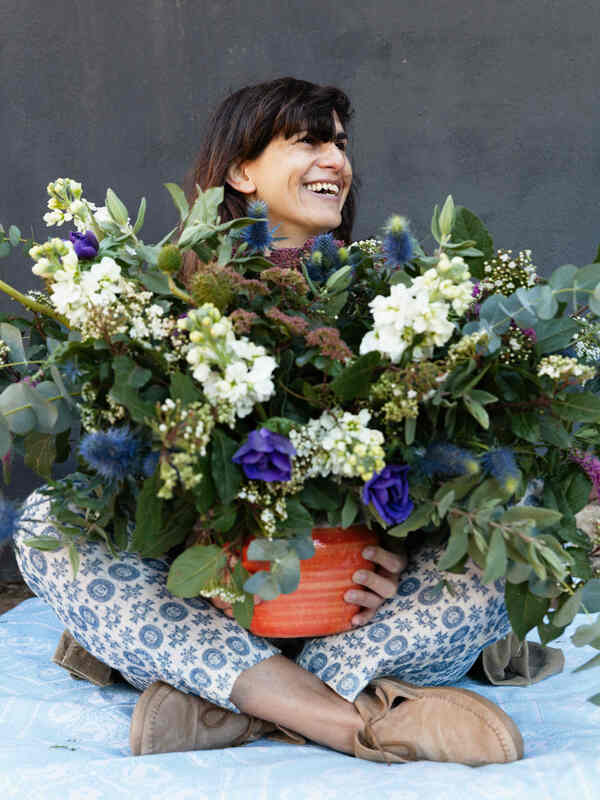 She is a florist and stylist, and lives outside Barcelona. This Spanish nature lover lives in a beautiful spot, where she enjoys peace and calm, and above all her breathtakingly beautiful greenhouse. She calls this place Gang & the Wool. You can see her perfect feel for styling and good taste reflected everywhere here, particularly in the enviably fabulous vintage furniture and breath-taking bouquets. It’s a little oasis where she and her dog enjoy nature in a way that we would all like to do. If you’d like to find out more about Manuela Sosa, who has elevated beautiful living to an art form, then watch the video below. If you’ve been utterly inspired and can’t wait to make the most original floral creations yourself, take a look at the article in which we explain step by step how to make a summery crown of flowers. It not only completes your outfit, but also gives you a relaxed ‘back to nature’ feeling all day long. If you fancy taking on a bigger project to create your own greenhouse, look here for some tips.